A professionally driven concern - ‘Amey Engineers & Traders’ is an eminent name in the sphere of procuring and marketing a wide range of CNC machines, Gear Cutting Machines, Various Machine Tools, Cutting tools, Precision Measuring Instruments and Testing equipments. Commencing our activity in the year 1996, we hold expertise in marketing these engineering products in private, public and government sectors. We are operating under the guidance of our mentor Mr. Milind Ambardekar- Director (Sales & Marketing), who holds degree in mechanical engineering (passed in 1984 from VJTI). His indepth industry knowledge and experience helps us in marketing a range that features latest technology and optimum functionality standards. Our ability to comprehend our client’s techno-commercial requirements also helps us in offering them with the best solutions available in the markets. Durability and superior performance are the main attributes of our range and we ensure that they are maintained in each supply. We source our entire range from trusted manufacturers in the industry that produce engineering products like precision measuring instruments, cnc machining, gear cutting, machine tools and cutting tools with brands GearSpect, SPM- FIE Group, Khushbu Engineers, Geeta-Energy, etc. Owing to our amicable relations with our reputed manufacturer, we are instrumental in offering a wide range of qualitative engineering products like CNC Machines, Gear Cutting Machines, Machine Tools, Precision Measuring Instruments & Testing Equipments. We offer CNC Machines encompasses CNC Turning Centres with FANUC system. 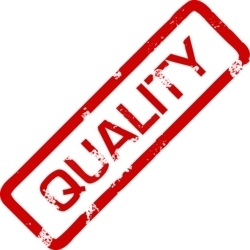 Quality is imperative for us and we ensure that only quality products reach our esteemed customers. We strive to provide the best services, and products to our customers and exceed their expectations. We adhere to stringent quality checks and take adequate measures to ensure the quality of our products. We have well qualified quality supervisors that check the final products before giving a green signal. Every aspect of our operation exudes professionalism and progress, keeping in mind the long standing ideals like quality, trust and loyalty. We are able to meet the exacting requirements of our clients mainly because of our cordial relations with reliable suppliers and vendors. We choose a vendor after assessing them on their financial stability, market credibility, past clients served, adherence to timeliness deliveries and many other factors. These manufacturers have in-house testing facilities that ensure optimum quality. 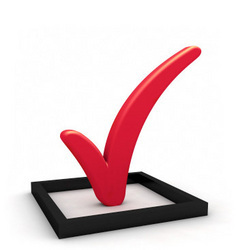 We ascertain the final procurement only after the aforesaid criteria is met with. Initially we carefully study the techno-commercial requirements of the buyers and then only make suitable offers. We would normally like to give various options available to buyers and then select a right option after detailed discussion with them. We owe our towering success to our highly competent team of professionals who works in close quarters with each other to fulfill the customer requirements on or before the scheduled deadline. Moreover, they are also well versed with the latest process technology and sophisticated machines which enable them to undertake the production of transmission gears and shafts along with tractor spare parts and automotive hydraulic filters. Our professionals are also provided with regular training sessions to make them well versed with the latest market trends.